Breathtaking mountains, beautiful scenery, exquisite wildlife, thrilling heights-India’s best hiking destinations have something for everyone. Indian Himalaya offers a fantastinters Muic opportunity for the trekkers to enjoy the change of scenery while striking out in the countryside. Whether you’re a skilled hiker or an average trekker who want to experience the best of nature, the gorgeous hiking trails out there are just waiting to offer you the experience of a lifetime. If you are a hiker at heart, then mentioned below is the list of 15 most iconic and beautiful hiking destinations in India. Some of these trails are not easy to handle, but the challenge is the part of the fun. Uttarakhand’s premier and long lasting Pindari Glacier hiking starts in Saung, 36 km from Bageshwar. The beautiful glacier fall in the middle of Nanda Devi and Nandakot peaks, standing at an elevation of 3749 m above the sea level. It’s a gigantic glacier that extends for 350- 400 m in width and 3 km in length. Pindari Glacier is the primary source of the Pindari River. 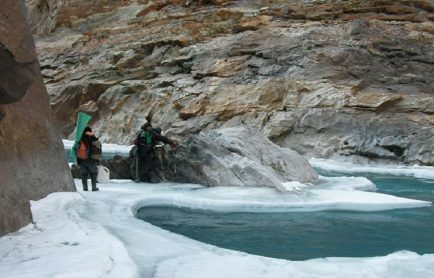 The icy water stream looks resplendent when it makes its way to the Alaknanda River. The trekking expedition runs along the edges of the serene Nanda Devi Sanctuary. Also, you can see the beautiful scenery created by the peaks like Panwali Dwar (6683m) and Maiktoli (6803m). 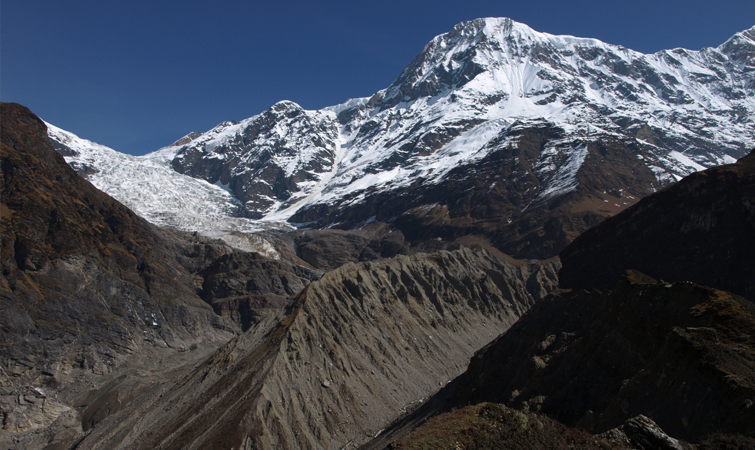 The trekking route of the Pindari Glacier takes you to the pristine village of Loharkhet. It is an easily accessible glacier in Kumaon region and is a perfect platform for the beginners to start their hiking expedition. From summer to monsoon, the high altitude meadows of Himalaya attract travellers, botany lovers, adventure enthusiasts and shepherds. Hiking on the valley of flowers makes one feel like rambling in the Edens. Calmly nestled in the western Himalaya range, Valley of Flowers is sprawling over an area of 87.50 sq. km. Brahma Kamal, Blue Poppy and Cobra Lily are amongst the 600 flowering species that bloom here. Your hiking expedition will start from Govind Ghat, by passing through the Ghangria, it will lead to the final destination- Valley of Flowers. 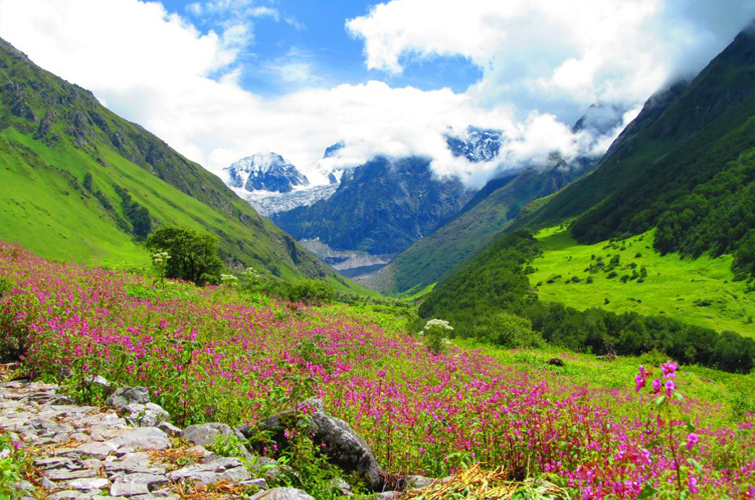 In the year 1982, Valley of Flowers was acknowledged as the national park and is now a UNESCO world heritage site. The beautiful pathway was the discovery of British traveller, Frank Smith, in the year 1931. Later he wrote a book about his experience and created a stir amongst the nature lovers, making the Valley of Flowers more sought out destination since then. If you wish to extend your trip further then pay a visit to the lake Hemkund, which is a pious water reservoir revered by Hindus and Sikhs. The valley emits colorful hues during the month of July as it is blooming with flowers all over. During the winter season the valley remains covered with snow. Railways: Haridwar is the nearest railway station. Airways: Jolly Grant is the nearest airstrip. If you are planning a holiday in Garhwal Himalaya and wish to throw in some exercise and adventure, this hiking trail is an ideal one for you. This hiking destination is untouched as people hardly know about it. Your hiking expedition will start from the Thaing Village and ends in the lush green landscapes of Chenap Valley. The trek will take you to the isolated Chai Village and from there you can get an excellent view of Nanda Devi, Nanda Kot and Dronagiri. On your trekking expedition in Chenab Valley, you will see a beautiful lake blooming amidst the Oak-Deodar forests. The trek is subtle enough for the beginners to start their hiking experience and 8-9 days are sufficient to make you acquainted with the alluring elements of this trekking expedition. Imagine walking on the glaciers with human skeletons on the sides. Every year as the ice melts in Roopkund, the glacier located at an elevation of 16,500 feet, hundreds of human skeletons are seen lying. The route along the trek is a fascinating journey to explore the pristine form of the oak trees and blooming rhododendron forests. 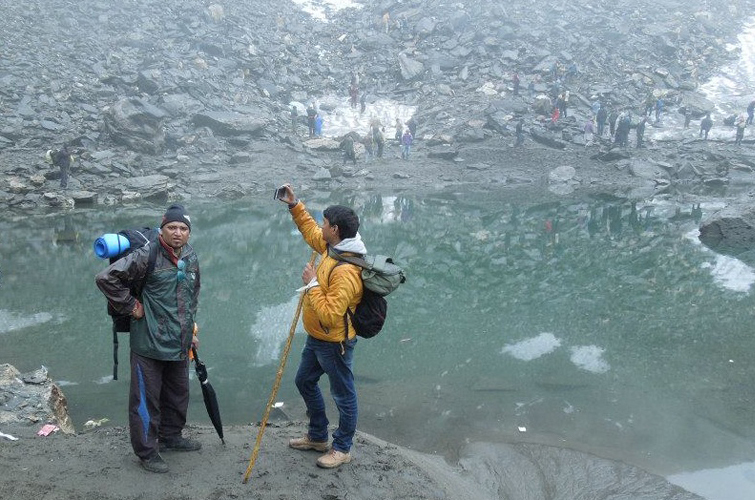 The trek is a must visit during summers because the skeletons in Roopkund lake are more visible during this time. For the rest of the year, the lake is covered in blanket of snow. Hiking in Garhwal has been always an exhilarating experience. Railways: Kathgodam is the nearest railway head. Airways: Pantnagar is the nearest airport. 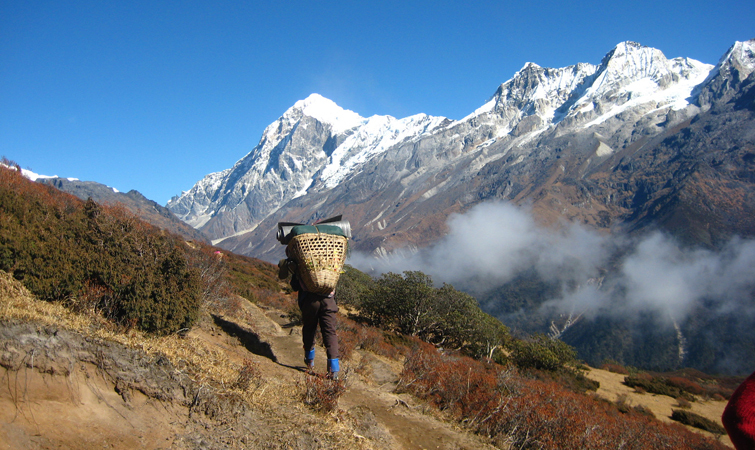 Whether you are a newbie trekker or a pro, Markha Valley Trek will suit all your needs. The trek will take to isolated places and will make you meet people of different cultures. Hikers will have to walk along Markha River, flowing through the Little Tibet, beautiful landscape in Ladakh. During the hike, travelers will come across Markha River, Ganda la La (15748 ft), Kongmaru La, (17,060 ft, Thachungtse, Indus villages and many other splendid settlements which offer picturesque view of the Himalaya. After reaching the height, one can explore the incredible vistas of the Himalaya, the Karakorum, and Tibet. The trek will also take you to the Hemis National Park and will give an opportunity to meet the nomadic families as they herd their yaks here. Railways: Pathankot and Chandigarh are the closest railway stations to Leh. From Leh, you can take three days bus service. Airways: The Leh airport is the nearest airways centre. The Leh Airport is a military airport and security checks are a little more stringent than usual. Usually experienced in the months of July to September, the Pin Parvati Valley Trek is one of the most enthralling treks that can be experienced in Himachal Pradesh. 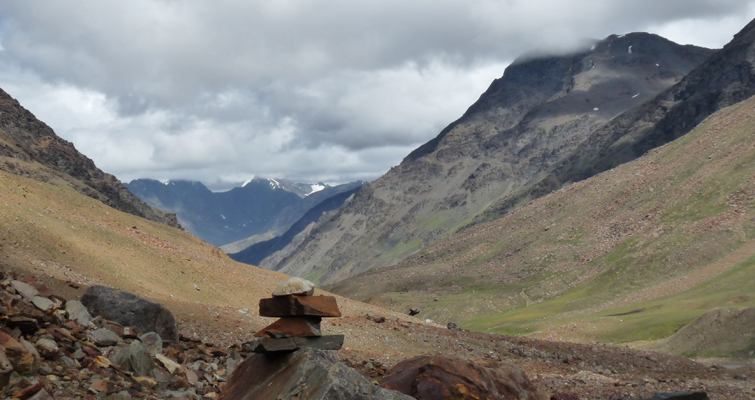 The trek will take you to a point where you get a chance to meet eye to eye with the Spiti Valley. In fact, in ancient time the trek as used as an alternative by the traders to reach the Spiti Valley. The Pin Parvati Valley Trek is counted amongst the most enthralling hiking destinations in India as it takes you to a maximum altitude of 5,319m above the sea level. Your journey will start from Barsheni or Kaza, whichever suits you better. Pin Parvati Valley is also known as the “Valley of Gods” due to its location being cuddled between Pir Panjal and Dhauladhar. 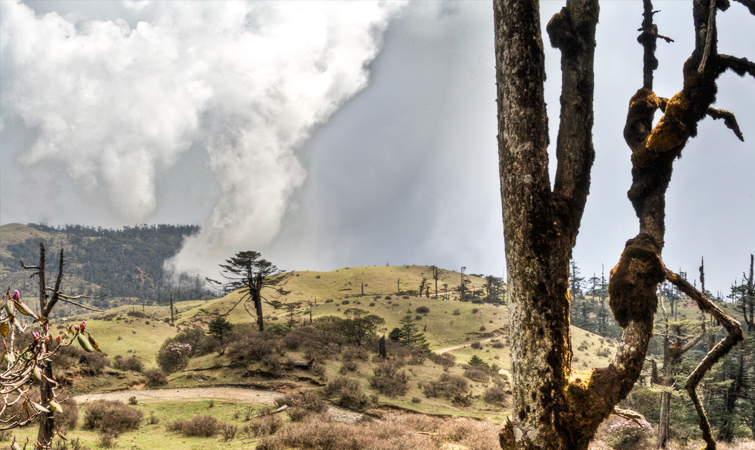 While hiking here, travellers will have to cross the blooming meadows, green pastures carpeted from end to the other, lush pine forest and dramatic barren scenery. The trek spring backs to life in the months of the summer and monsoon, for the rest of the year, area remains covered in snow. Railways: Jogindar Nagar Railway Station, which is located 166 kms from Manali is the nearest railway head. Various taxi services are available here to reach your stunning destination. Airways: Bhuntar Airport, which is 52 kms from Manali is the nearest airport. Various taxi services are available here to reach your stunning destination. The quest to reach the far-flung abode of Lord Ganesh, the pursuit of rainbow trout, a high altitude lake, and a hike along the spiritual highway- the Dodital trek is an experience of a lifetime. The trek includes walking in the lush green meadows, campaigning on the bank of the starlit Dodital (Dodi Lake). Dodi Lake got its name from the rare Himalayan trout called Dodi in the local language. Set at an elevation of 3130 m above the sea level, the shimmering Dodital is one of the most beautiful high-altitude lakes in North India. The lake has a spiritual connect as well. As per the mythological facts, this was the place where Lord Ganesha was born. Sangam Chatti is the base camp of the trek. The Dodital Trek will take you to some gigantic mountains, gushing cascades, and dense forest until you reach the main destination. The many delights of the Dodital trek include a visit to Sangam Chatti, a quaint village marketplace. One of the most unconventional and least explored treks in Uttarakhand is Har-Ki-Doon. Being one of the remotest places to visit in Uttarakhand, Har-Ki-Doon is blessed with virgin beauty and is one of the most beautiful treks offering numerous trekking excursions. The trek starts from Sankri at 1950m passing through fragrant orchids, sprawling meadows, picturesque glaciers and verdant forest. All thanks to its rich topography and wildlife, the trek has won the hearts of many nature lovers. The trek from Taluka to Har Ki Doon is graded easy. This trek will take you to some of the isolated villages in Uttarakhand which are still untouched by the civilization. This trek is perfect for the first hike. Up and above are the azure blue skies, on your left and right are dense forests of deodar. Indrahar Pass Trek is one the most charismatic trails in Himachal Pradesh and is just not meant for weak hearted people. Don’t forget to carry your camera when you go on a trip here as it offers the best view of beautiful Dhauladhar and Pir Panjal mountain ranges. The trek will show you the pristine form of Himalaya; it will start from Dharamshala and end at Chamba while passing over the Dhauladhar range. It is one of the ancient trails that were used by the Gaddi Shepherds to take their flocks of sheep to summer grazing meadows in the upper Ravi Valley and Lahaul. 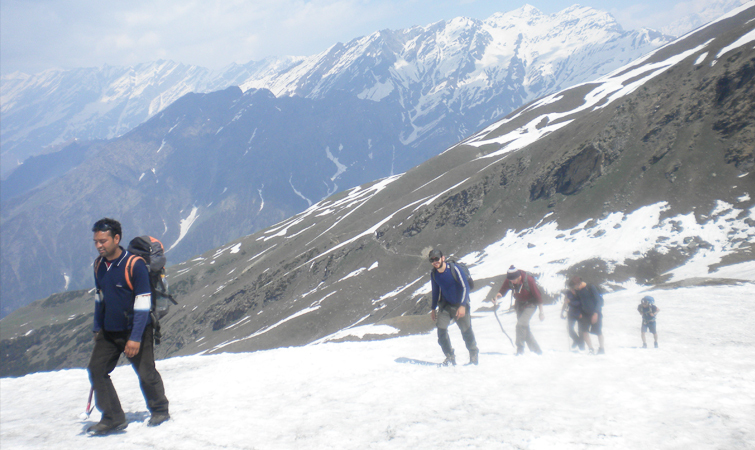 Once you are at the highest point of the trek, you will see the spectacular view of the prominent peak- Mani Mahesh Kailash and the snow-covered Pir Panjal Range. The mighty mountains are popular amongst the tourist due to the close proximity to Dharamshala. 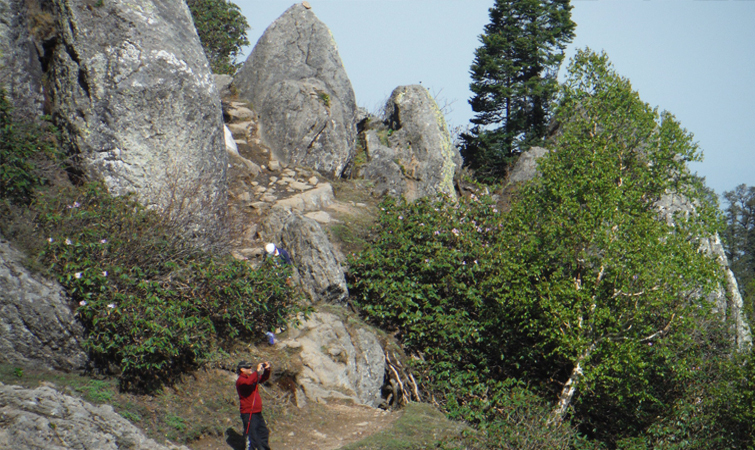 Churdhar Peak offers a perfect platform to the adventure enthusiasts to indulge in hiking. Your hiking expedition will start from Sarain and further what you will experience is something that can’t be explained in few words. Surrounding view is picture perfect as you can see the different shades of Himalaya. Also, you will see a gigantic idol of Lord Shiv, showering his blessings from the top of the hill. Alternatively, expeditions to the peak can be started from Dadahu via Sangrah, Bhawai, Gandhuri, and Naura. Plan a hike to Churdhar peak and experience the feeling of standing on the top of Himachal Pradesh with butterflies in your stomach. Railways: Solan Railway Station is the nearest railway station. It is well connected to the other important cities of India via Kalka Shimla Express, Himalayan Queen and Sml Klk Passenger etc. Airways: Nearest airport is Chandigarh Airport. Brace yourself for a grand extravaganza hike as some breathtaking sights of Himalaya are waiting here for you. From July till September, the park remains open to public for the purpose of hiking. The hiking expedition will start from Dhotrey and by passing through the hidden hamlets like Kalapokhri, Sandakphu, Gurdum and finally end at Sepi. Usually classified as an entry level trek, Singalila Ridge Trail is ideal for tourists who want an introduction to trekking but are not sure about what to expect. 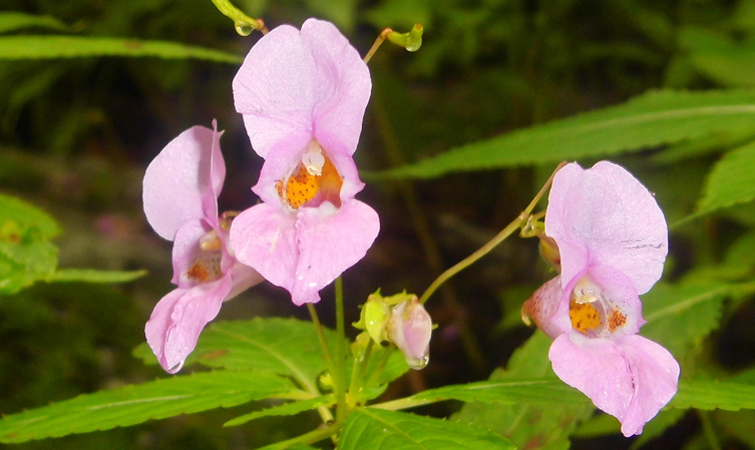 By passing through the Singalila National Park, you will come across an array of conifers, rhododendrons as well as orchids. 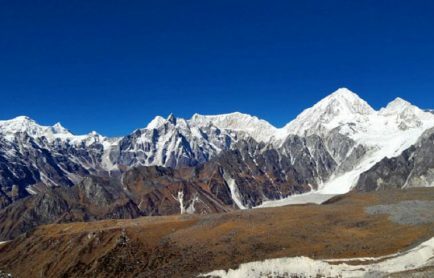 From the top of the hiking site, you can feast your eyes on Everest, Lhotse and Kanchenjunga, as well as extensive views into both Sikkim and Bhutan. The hiking trail from Darjeeling to Kurseong can be the first step for the adventure enthusiasts who want to make a mark in the field of hiking. The trails are not that steep or uneven, making it the best track for the adventurers to indulge in hiking activity. When you get here, you will be amazed at the plenitude of options available. At every turn of the Old Military Road, there is a surprise attraction. The first thing that you will come across while hiking on the Old Military Road is the Mag-Dhog Yolmowa Buddhist Monastery. The term Mag-Dhog means avoiding wars. The construction of the monastery began in the same year when the First World War erupted. If the tourist is a botany lover then here they can see some rarest plant that only grows in the pristine and clean surroundings. Airways: The nearest airport to Darjeeling is Bagdogra which is approximately 95 km away from the city. The seven sister trek will offer you an exhilarating experience that is hard to compare with any other trail. 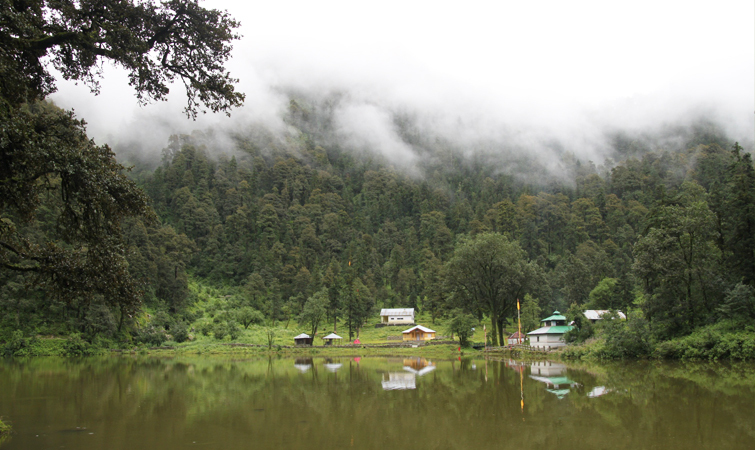 The hiking expedition will start from Dhundi, a breathtaking hamlet that is 6 km away from Manali. Enroute, luscious forest and high altitude temples will be waiting for you. Seven Sister Trek is a complete package of beauty and adventure. Adventure because the traveller will have to pass through rugged pathways and Beautiful because the trek will take you to such long heights that you can form and eye-to-eye contact with the Kullu Valley and Pir Panjal Range. 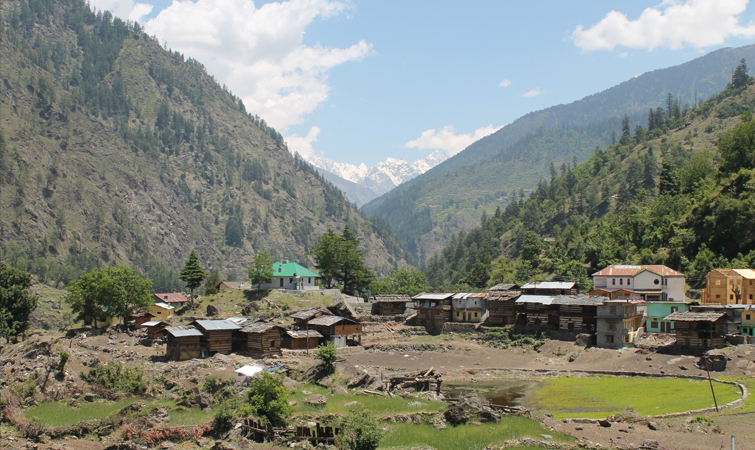 Hike to the Malana, a tribal village that is picture perfect and hardly explored. 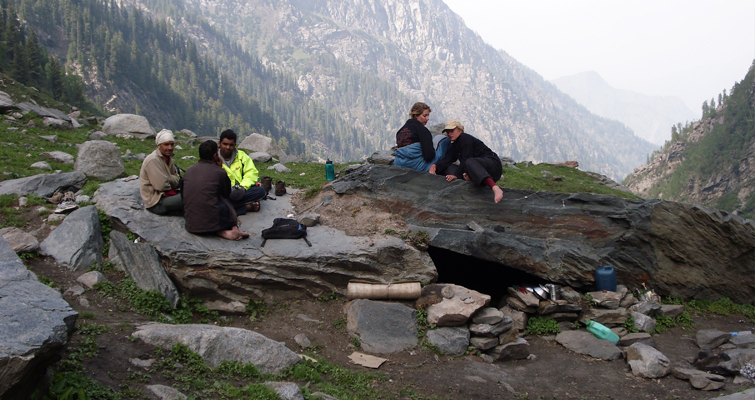 The hiking will start from the Manali – Leh road, and will come to an end at the beautiful Malana Village. Malana Village Trek is becoming more popular as it will give you an opportunity to experience the people and culture that make their home at these elevations. Along the way, you will experience the Chanderkhani Pass, Dadru and will reach the height of 14816 ft. Calmly nestled in Garhwal Himalaya, the Bagini Glacier Trek will take you to some of the most intriguing Garhwali villages and glade-like upper lawn of Bagini & Changbang. 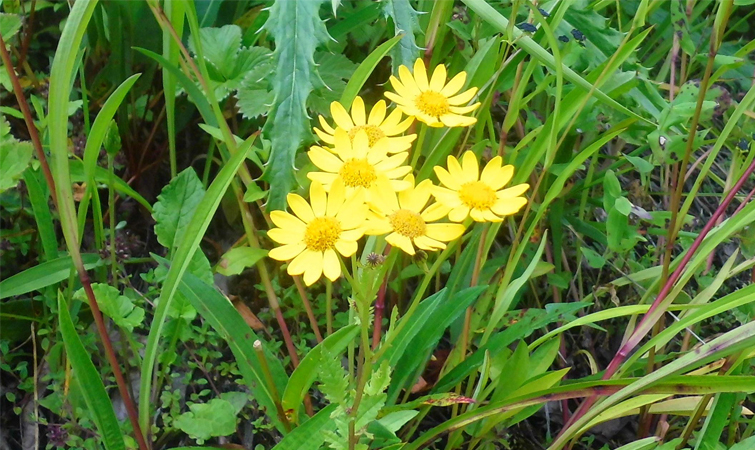 The camping ground is in full bloom with majestic yellow and purple wildflowers. Pristine environs and picturesque landscapes will accompany you throughout the journey. 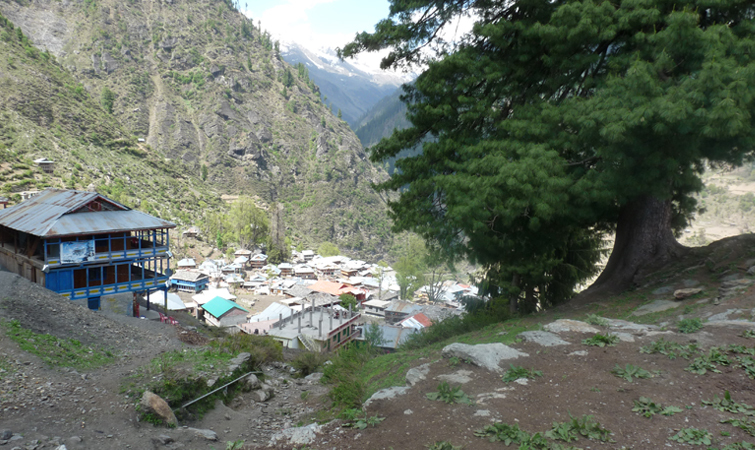 The trek will begin from Jumma, a hidden hamlet that is a few kilometres drive away from Joshimath. 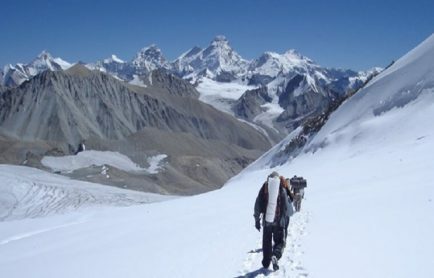 Further, the trek will lead to Ruing, Dronagiri Village, and then the trek will end at the Bagini Glacier. These are some of the best hikes in Himalaya that one must visit. What are you waiting for? It’s time to lace-up your boots and hit the trails mentioned above. If you think we have missed any hiking destination that deserves to be in top 15 then send your message through the comment box below. We would love to hear it from you.